Ledger Nano S review of on of the best bitcoin wallets on the market. It’s one of the most popular cryptocurrency hardware wallets in 2019. I see why with it’s sleek design, top-notch security, and ease of use. 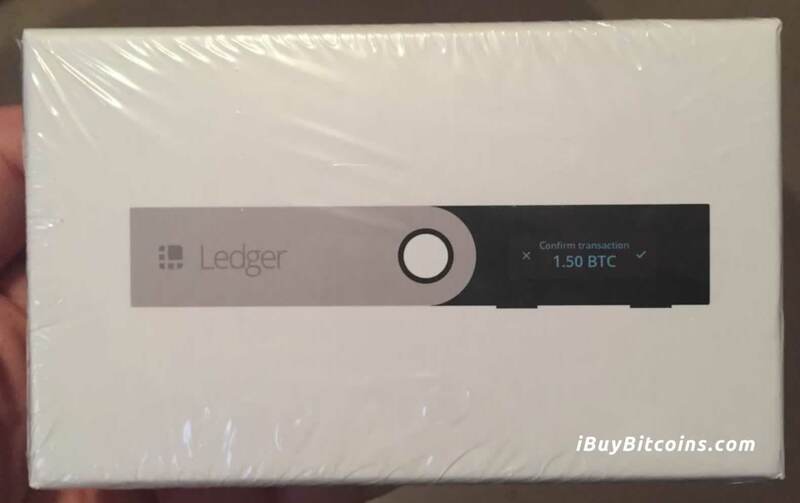 Ledger combines a hardware authenticator with a software wallet app to help you easily, safely and securely send and receive bitcoins. 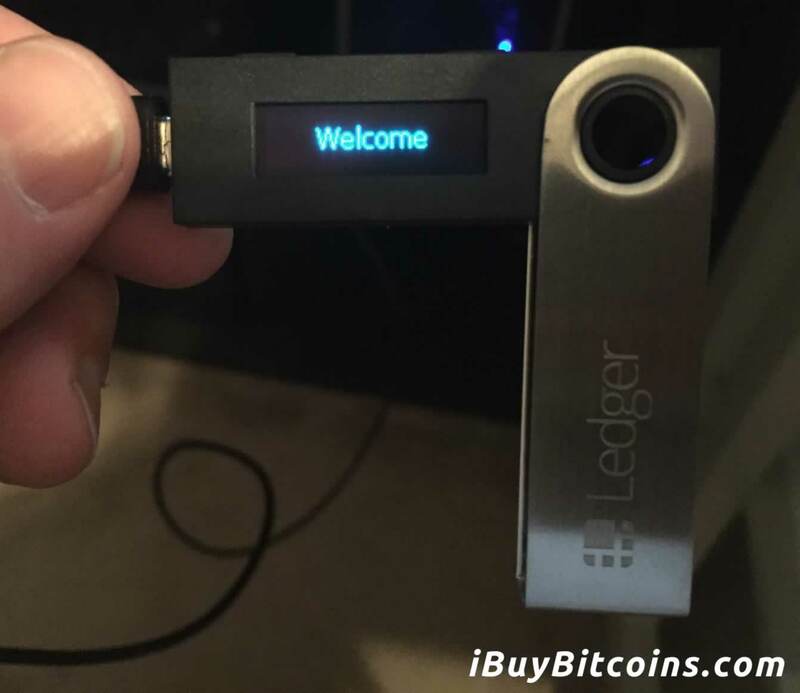 How Does the Ledger Nano S Bitcoin Wallet Work? The Nano S by Ledger was my first venture into using a bitcoin hardware wallet. It was a lot easier than I was expecting. 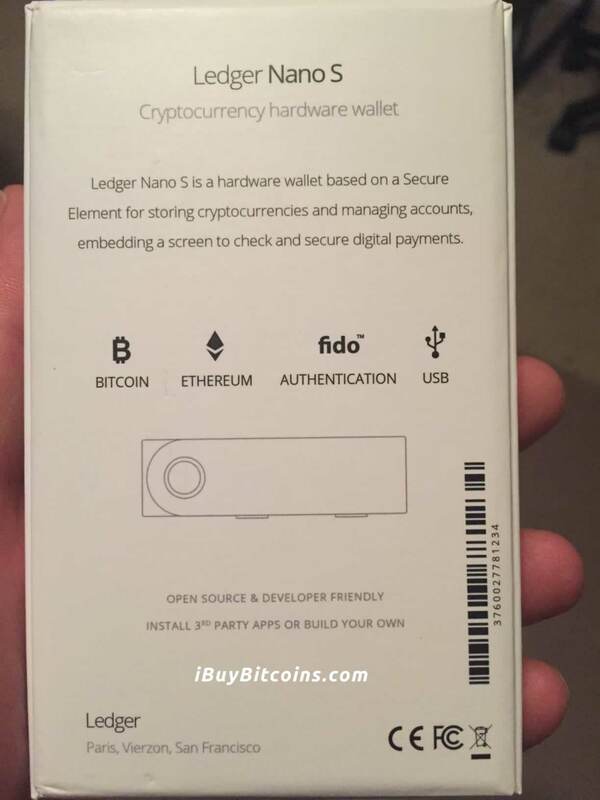 Ledger has top notch hardware, software, security, ease of use, and instructions both hard copy in your Nano S box and also on their website. Features – USB hardware encryption device that’s far from flimsy. It has an easy to read interface screen, with two buttons on the top that control all the action on the device. Push left button, right button or both at the same time. Device will prompt you with check marks and X’s. 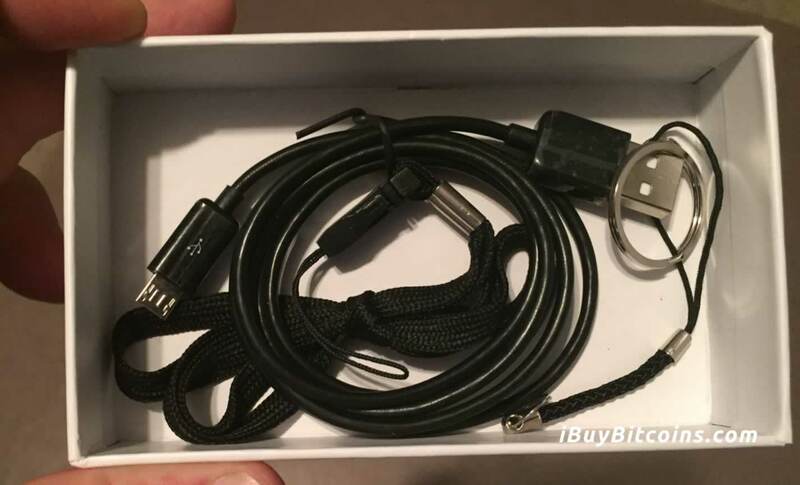 USB cable to plug your device into your computer. Download, install, then open Chrome software wallet app to send and receive bitcoin. You must have your encryption hardware plugged into computer and verify PIN to open software wallet. Benefits – Protects your bitcoins from malware, hacks or other attempts to steal your bitcoins. Nobody can access your wallet or send bitcoins out without the hardware encryption device plugged into your computer and PIN number verified. It’s the best protection for your bitcoins. Pictures of everything that is included with your Ledger Nano S.
I just received my Ledger Nano S bitcoin hardware wallet in the mail from Amazon. Here is my review and unboxing. Back of the Nano S Box. Inside the the box you find the Nano S snuggled neatly in it’s place. At the bottom of the box I found the Nano S cables and key chain holders. 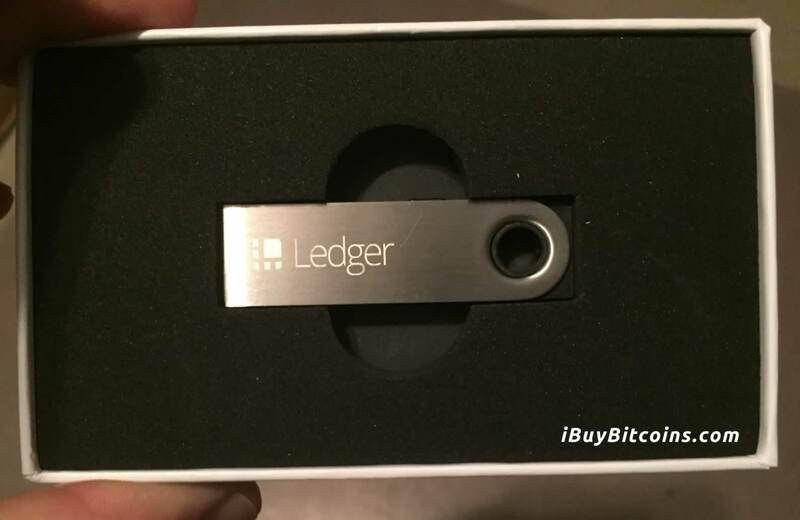 The Ledger Nano S bitcoin wallet consists of a USB authenticator and a desktop software wallet app. This can be used as a stand alone service on your computer or you can use in combination with other software wallets like Electrum. You use it to send, receive and store bitcoins. You manage everything through the software wallet but anytime you send bitcoins you must authenticate the transaction using the Ledger usb stick. Open the package your device came in. Follow the enclosed instructions – really it’s that easy. The instructions that come with the device are top notch and walk you through every step. Here are pictures of me setting up my Ledger Nano S.
Ledger Nano S Welcome Screen after I plugged it into my computer. One negative of the Ledger Nano S, is that you can only generate one receiving address at a time. Meaning, when you give someone an address to send you bitcoins, you can’t generate another address unless the first address had already received the bitcoins. Therefore, if you have multiple clients that you want to give bitcoin addresses to, using the Nano S alone does work. Fortunately, the Electrum Wallet works well with the ledger and allows you to generate multiple receiving addresses at a time. It comes with 20 pre-loaded addresses and allows you to add more if needed. Electrum is free to use. It works best if you use in conjunction with Ledger to provide more security. 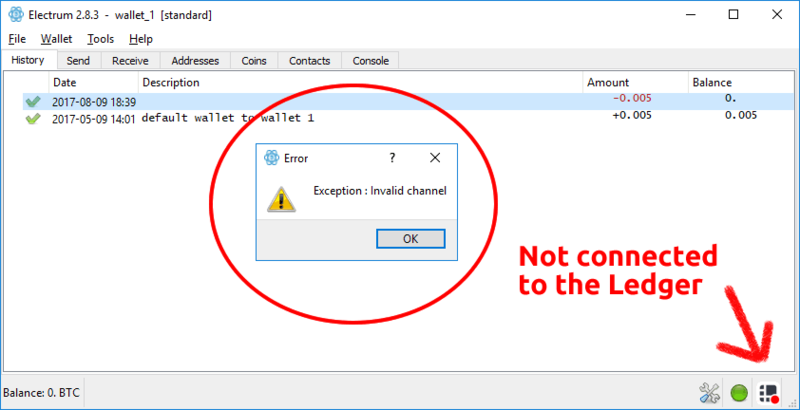 Did you get an “Exception: Invalid channel” Error message when you opened Electrum with Nano S? Here is how to avoid that error. Following these steps will allow you to seamlessly connect the Nano S to your Electrum wallet. I have had instances where I will need to go back in and change ‘Browser support’ to ‘no’ again, even if I’ve set it to ‘no’ in the past.